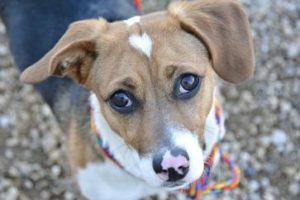 To become a foster parent for one of our dogs, you must have a fenced yard adequate for the size dog you want to foster*, and you need to be able to offer a place in the house to the foster dog. A crate is recommended to keep the foster dog in while you are away from the house. All of your own pets must be spayed or neutered and up-to-date on their shots. *We do not often have a need for foster homes for small dogs as they tend to get adopted so quickly from the shelter. The Special Needs foster program allows special needs animals to be sheltered in an individual’s home rather than the animal shelter. The goal of the Special Needs program is to rehabilitate as many animals as the shelter can reasonably handle and ultimately place. Animals with special needs include mothers with litters, injured animals, and animals with treatable illnesses. ​We would love to have you join the many people experiencing the rewards of caring for homeless animals in our community. To become a Foster please fill out the online volunteer application. Please download and complete our Volunteer Application Form; to submit the form, scan and email it to vc@meridianvalleyhumanesociety.org or drop it off at the Rescue at 191 N. Linder Road, Meridian, Idaho 83642 during business hours.